Turn off your oven and bring out the blender and make yourself a batch of cold soup – the perfect antidote for hellishly hot days. It’s been like an inferno this month in Snohomish. Of course, an 80 degree day is considered really, really hot in the Pacific Northwest, almost entering the gates of Hell hot. Bless Nancy Leson’s heart. 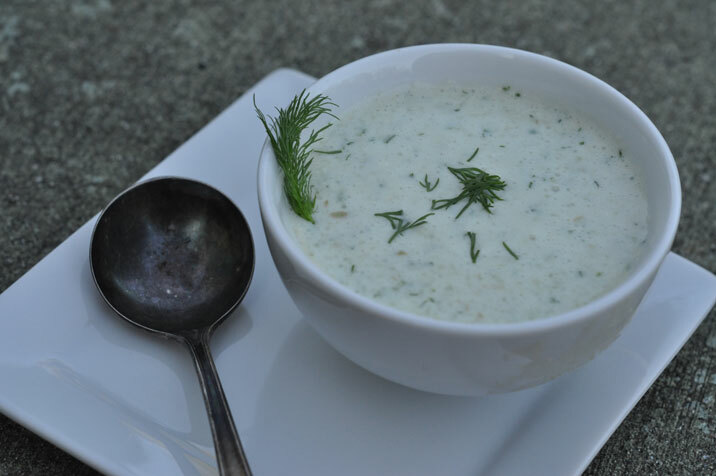 Earlier this month, Ms. Leson, of the Seattle Times, wrote about her favorite chilled soups which I had to try out. 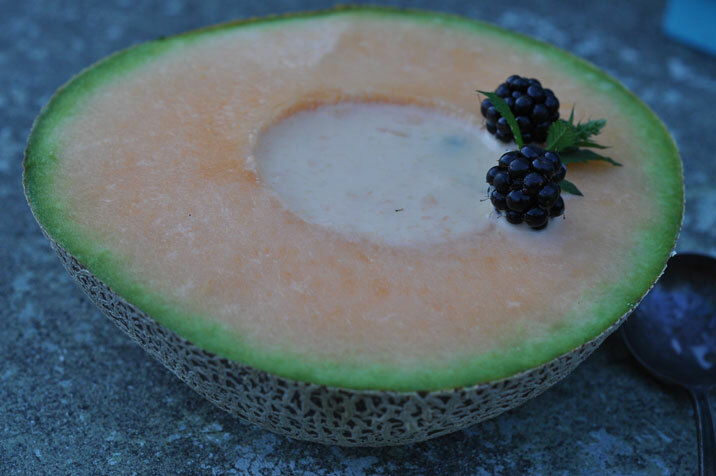 Cantaloupe Soup and Cucumber and Green Grape Gazpacho are easy to make, elegant and very refreshing – try them yourself. In a blender, puree the cantaloupe. Pour the pureed cantaloupe into a large bowl and whisk in cream, orange juice, honey and cinnamon. Grand Marnier is optional. Chill 2 hours and then eat up. In a blender combine the grapes, cukes, onion, dill, cream cheese, half and half, yogurt, vinegar, olive oil and salt. Blend to a smooth puree. Chill for 2 hours.